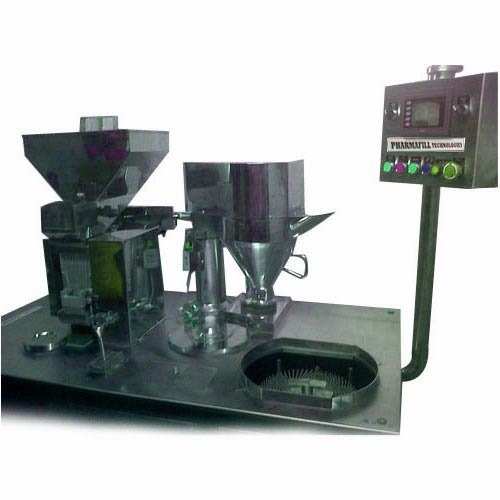 We are manufacturer, supplier, trader and service provider of a wide range of high quality Capsule Filling Machine & Spare Parts. Due to their excellent performance and low maintenance, these machines are highly demanded in the market. We are named among the eminent organizations engaged in offering a broad range of Capsule Filling Machine & Spare Parts to our valued clients. These products are extensively demanded by the customers owing to their longer life service and durable standards. Also, our client-centric approaches have earned us a great appreciation of our products in the market. Besides, our experienced professionals comprehend the demands and requirements of the clients and thus, manufacture this range in customized form so as to fulfill their varied expectations.